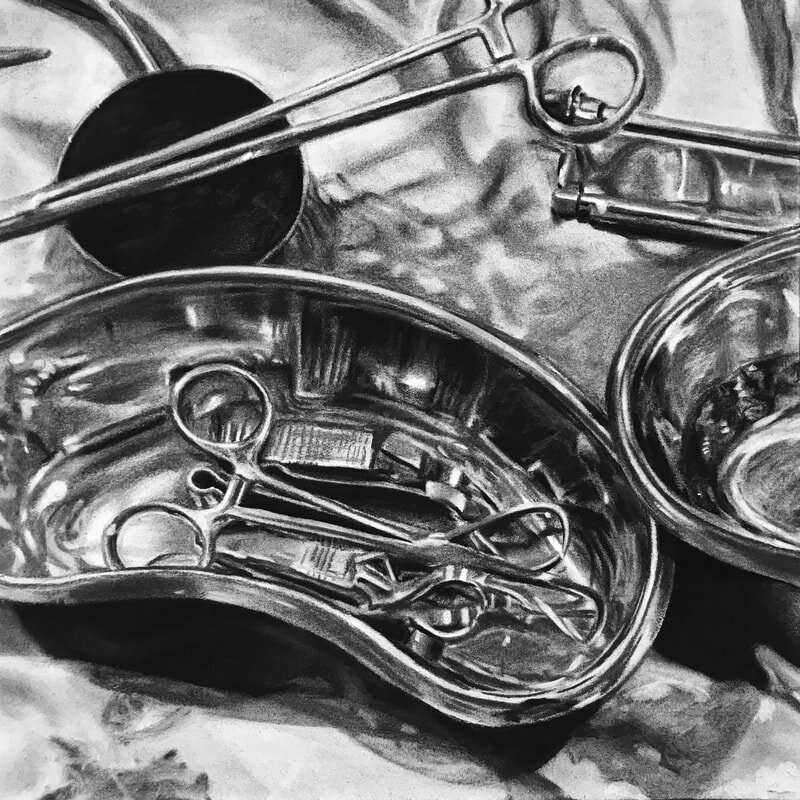 A collaborative exhibition witnessing to remarkable beauty in the face of suffering. 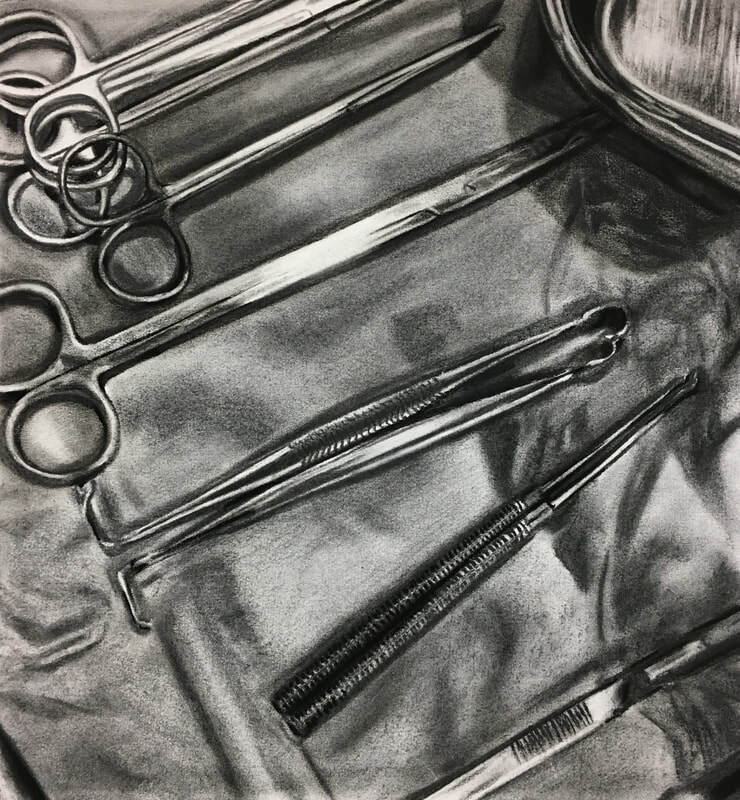 BETWEEN NOW AND FEBRUARY ALL PROCEEDS FROM LIMITED EDITION PRINT SALES WILL HELP BUILD A NEW SURGICAL BURN CENTER IN INDIA THROUGH WELLSPRING INTERNATIONAL. In the studio with "Dear Rehka"
In 2010, I began exploring the question: Could a painting empower, promote, or exhibit the process of healing from a disfiguring event? In 2012, I learned about an organization supporting burn victims who are all living below the poverty line in India. The descriptions of these victims, many of them victims of domestic violence, and their stories of pain and strength sparked in me a desire to research and create works of art that would promote healing by honoring victims and their value through portraiture. Humbly acknowledging that my empathy could never bring justice, I tenderly dared to imagine the marks of suffering made beautiful, scars made new through art, and to offer a means for viewers to respond. These works mark a near decade of imagining and cultivating a way to create toward that end. Beneath layers of paint and storied markings, each portrait carries gold leaf that is often unseen. Other times it appears in cracks and bares the story of a life inherently valuable and worthy of honor and love. 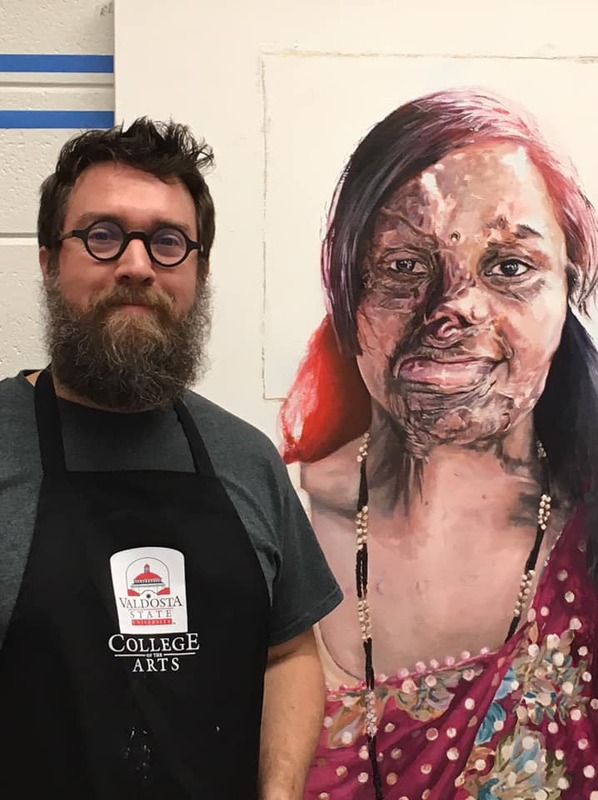 Local gallery witnesses to remarkable beauty in the face of suffering. Exhibit open: November 15—February 28, 2019. Opening reception and charity benefit: December 1, 2-4 p.m., EST. 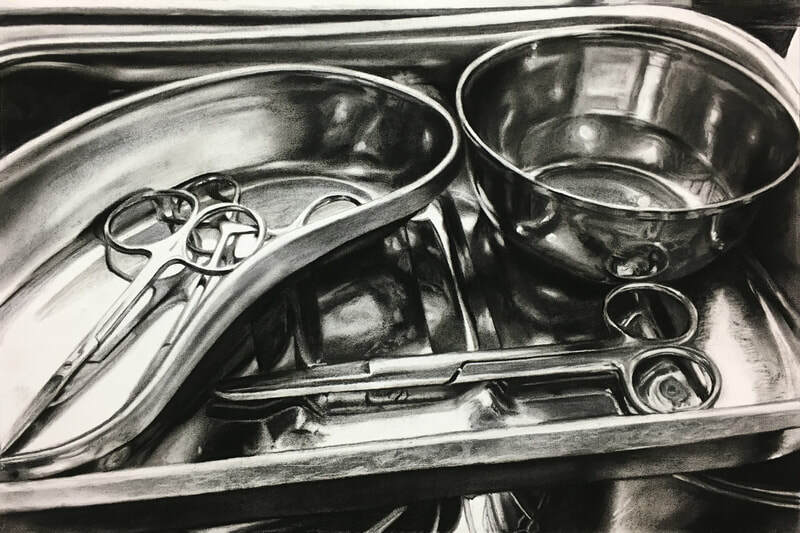 Still Point, a formal art gallery in North Atlanta, presents Beautiful, a collaborative exhibition featuring photography by Elizabeth Jones and painting by artist Craig Hawkins. With stunning portraiture in multiple media, the intent of this exhibition is to witness to remarkable beauty in the face of suffering. 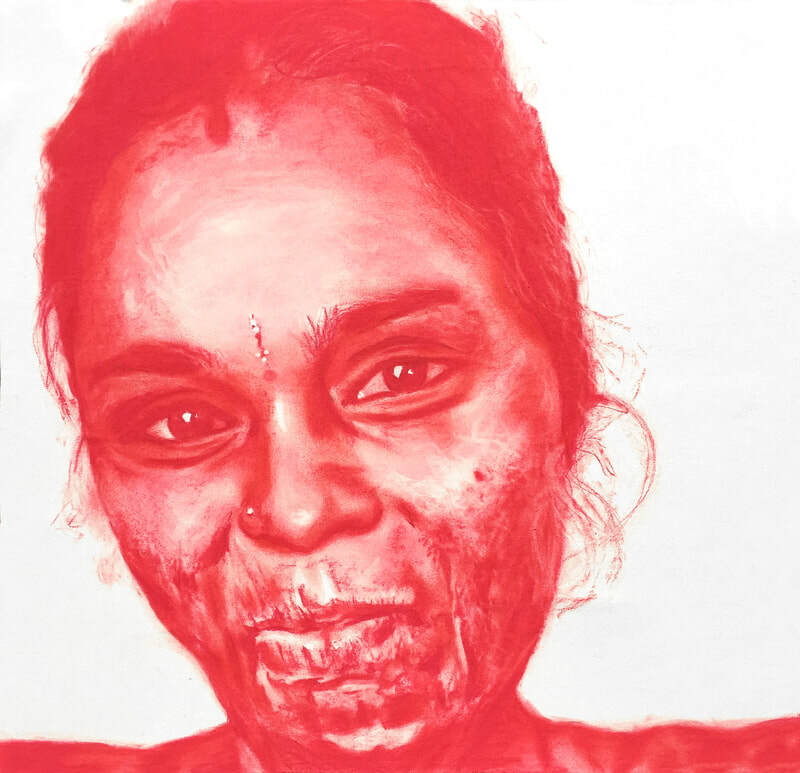 The work captures the faces of women in India who have suffered from painful burns. 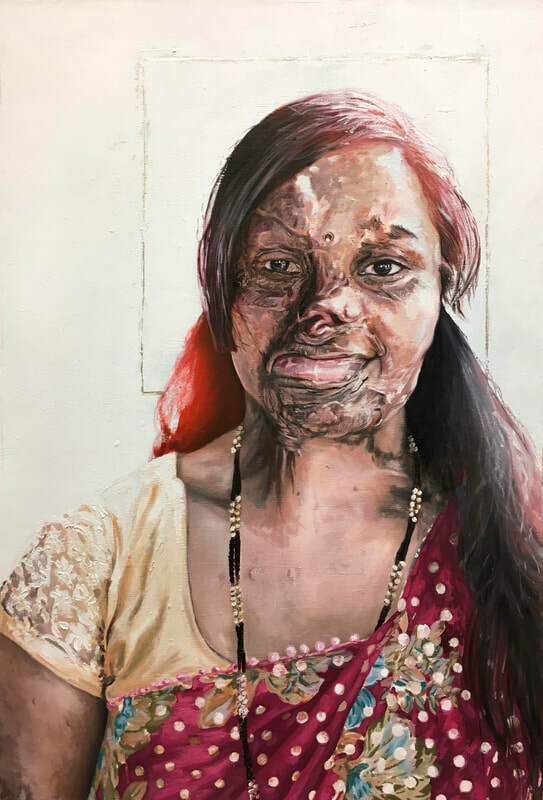 Still Point has partnered with humanitarian aid organization Wellspring International to honor these remarkable women through art, to raise global awareness of burn victims in India, and to offer a means for viewers to respond. 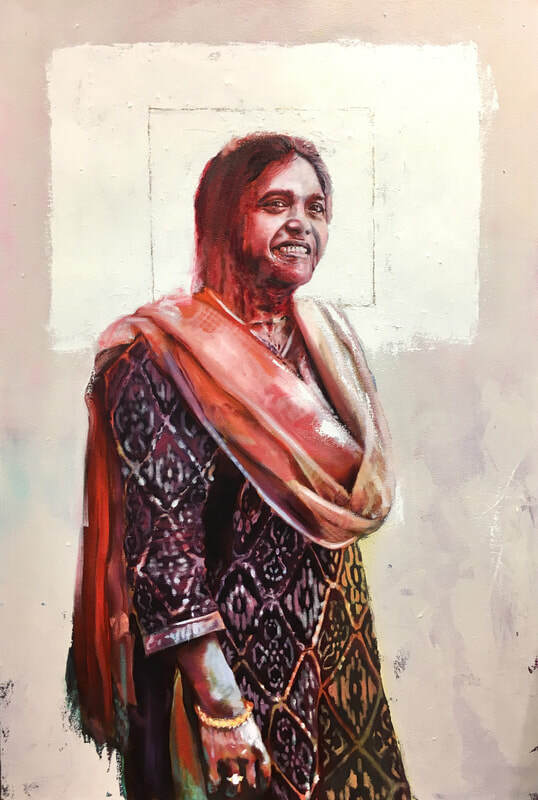 Optional donations pledged at the December 1streception and throughout the duration of the exhibit will be designated toward the building of a new surgical burn and treatment center in India. Beautifulincludes original works by two local artists, photographer Elizabeth Jones and artist Craig Hawkins. 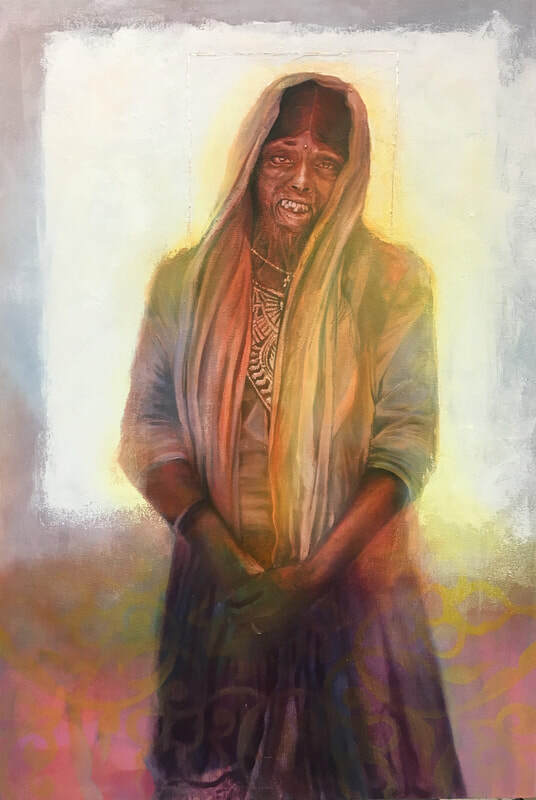 An opening reception with the artists will be held December 1, 2018 from 2-4 PM with a presentation by Naomi Zacharias, director of Wellspring International, at 2 PM. The reception is free and open to the public. The event will be catered by Refuge Coffee Co., a non-profit business that exists to serve the local refugee community. RSVP is appreciated. For more information, visit stillpointarts.org. 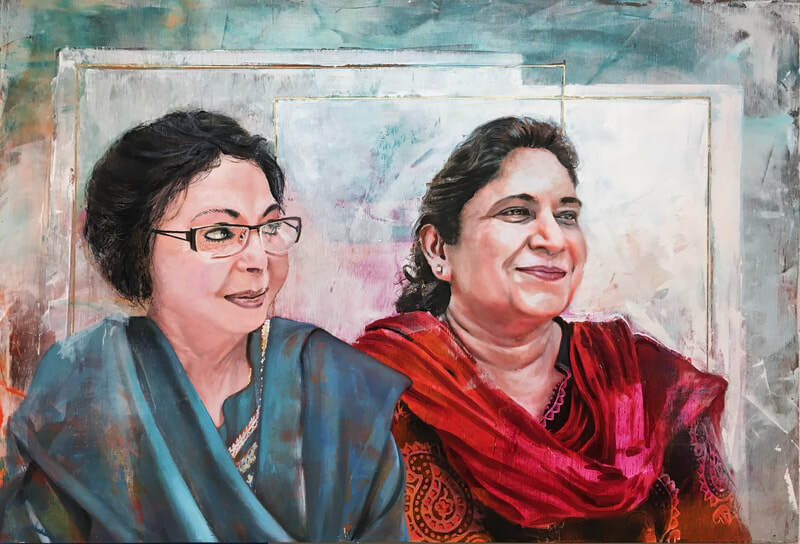 Still Point is a nonprofit art gallery that aims to support local and international artists and offer the community encounters with high quality art. Skilled artists and exhibitions, both of world renown and those yet discovered, are featured in four exhibits a year. A diverse community is invited to engage with these exhibits via artist receptions, lectures, and events that are free and open to the public. Open by appointment by emailing gallery@stillpointarts.org. Group tours welcome. Beautifulwill be on display at Still Point from November 15 to February 28, 2019. 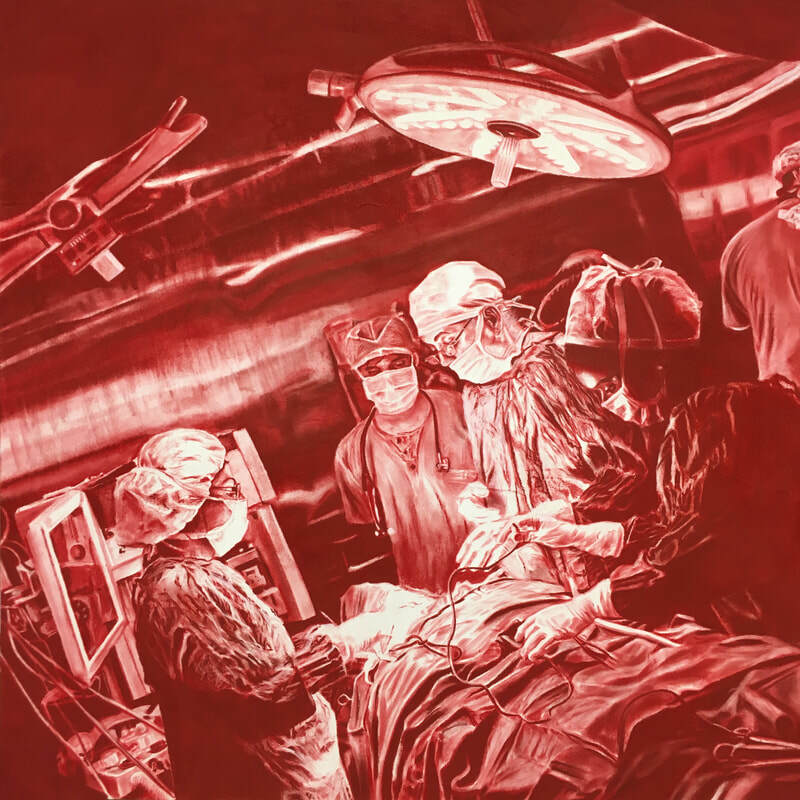 For a limited time, proceeds from the sale of limited edition prints will go toward the building of a new surgical burn center in India through Wellspring International. Purchase here. give.classy.org/beautifulevent. One hundred percent of the proceeds will be designated toward the building of a new surgical burn and treatment center in India.